Shin’ichi Suzuki is the guy who developed the Suzuki Method of learning for (originally) violinists and pianists. Now there are some great things about the Suzuki Method (e.g. their advanced use of mental representations for beginner students) and some things that aren’t so great (read virtuoso Mark O’Conner’s blog for his thoughts on playing rigidity inherent in Suzuki’s teaching). Those are topics for another day. Let’s talk about the quote itself. The first thing to note is that the quote speaks to the importance of regular practice. According to Suzuki that should be every day. There are many benefits to practicing every day. But the big question is: should you practice every day? I believe that the answer is different for every one of us. It depends on a number of factors such as: the exact nature of our bass playing goals; the time frame in which we want to achieve those bass playing goals; how busy our existing lives are…and so on. Ultimately only YOU can make the call on exactly how much practice you need to put in on a daily, weekly and monthly basis because only YOU have all the pertinent facts at hand to formulate this decision. However you tailor your bass practice to fit into your life regular practice is a vital component. Let’s say you work through your goals, how long it’s going to take to acheive them and the current available time you have to practice. And you decide that you can put in five hours of practice a week. It’s much easier to focus for say five 60 minute sessions on separate days than it is to focus for 300 minutes in one or two blocks. Partly that’s due to fatigue – both mental and physical. Five hours of playing in one or two blocks increases the chance of tendon strain in your hands. Or will make worse any aches/pains in say back or shoulder or arm caused by an inefficient playing position. Part of learning ANYTHING involves creating ‘deep memory.’ Deep memory takes both repetitions AND time – playing regular sessions over the period of a week allows your subconscious more time to work on building the ‘deep memory’ structures that you need to move forward in your playing. Practicing in one big block doesn’t cater for any sudden changes. Let’s say you aim to practice one big block of 5 hours on Sunday. But something comes up unexpectedly that you HAVE to deal with. You just lost most (best case) or all (worst case) of your week’s practice. If the same event happens during one of your regular One Hour practice sessions…at worst you lost a fifth of your weekly practice time. And making up an hour is much easier to do than making up 5 hours. 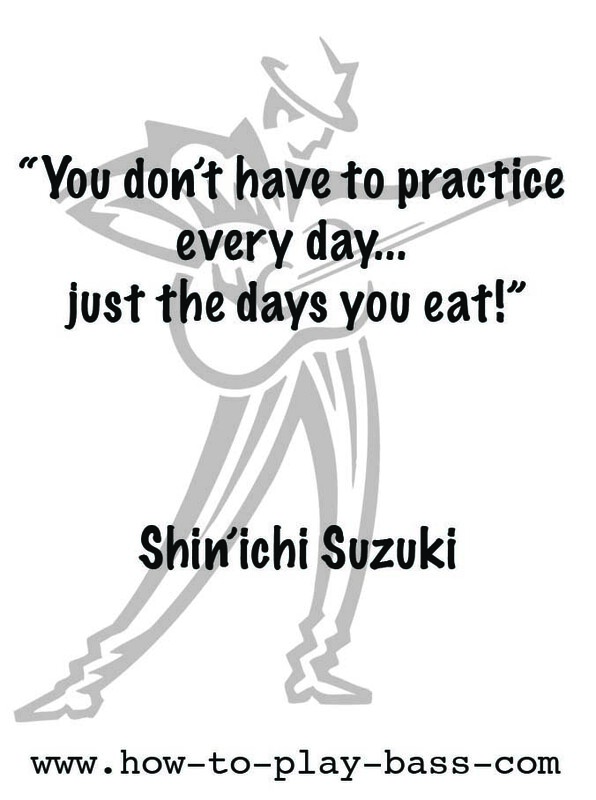 Suzuki was on the right track – but I don’t believe you have to practice every day. Even if you are practicing hard (several hours a day) on a regular basis it keeps you ‘fresh’ to have a rest day built into your week. But the benefits of regular practice definitely makes it worthwhile to strive to incorporate regular practice into your bass playing journey. I’ve been playing bass for over 35 years. My take on practice is this – if you truly love (have affinity for) your instrument, no one “makes” you “have to” practice. You should WANT to practice. When I was learning, I couldn’t practice enough. There was so much to learn, and I loved bass so much, you couldn’t stop me. Once I became a much better player, then there were so many songs to learn, and so many different styles, my drive to practice wasn’t necessarily to become “better” but rather to become more diverse. I am still, over 35 years down the road, having been in numerous bands, driven to become more diverse, and to improve as a player. As is the case with any (stringed) instrument, there is ALWAYS more to learn, no matter how much you know. I also know for certain that if go too many days without being able to practice (life often gets in the way, as it does for most of us), I begin to suffer what I term “withdrawal symptoms.” It’s always been like that, as far back as I can remember. What drives me is the singular joy that I get from playing bass. It’s something that is unobtainable any other way, and is inexplicable to those who don’t play a musical instrument. That is what drives me to practice – the joy of playing coupled with the twain desires to improve and to diversify. I totally agree. If you like me love playing bass practice is never a hardship. 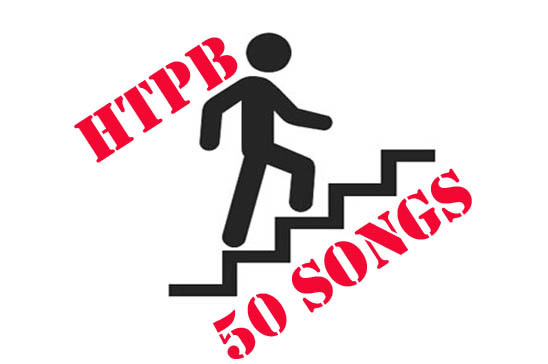 If you are truly serious about being the best at playing bass or being great at anything. Practice is essential. For nothing else will make you great.